Springtime is here and we are having visions of pastels, metallics and florals dance through our party dreams. While Easter often takes center stage as THE party of the season, we want to keep your options open. So our Pretty in Pastel party box (name selected by our lovely Instagram followers) is designed to help you celebrate not just the arrival of candy filled eggs hiding in your home, but any other springtime moments that are cause for a party! Its versatility! Perfect for an Easter party or spring time brunch. 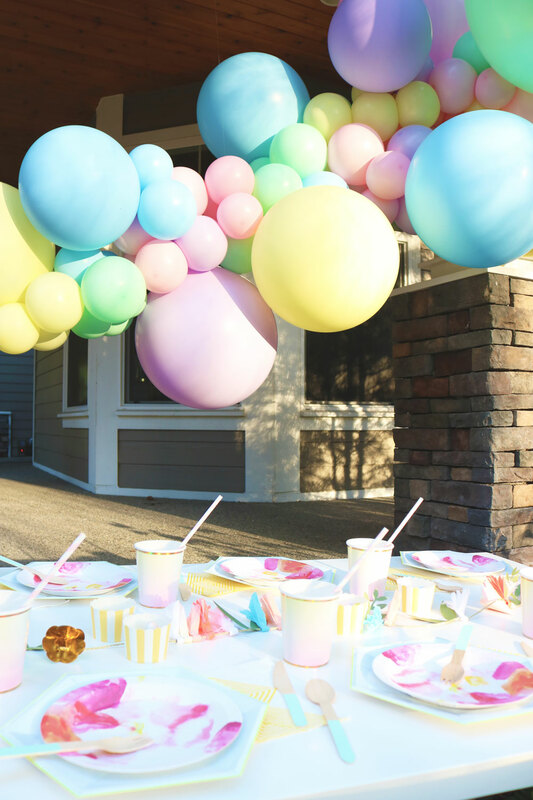 The hardest part is the balloon garland kit and even that’s not hard, especially with our Balloon Garland tutorial. You can purchase just the tableware, just the decor pieces, or the entire party box! Your choice. Get your Pretty in Pastel Party Box today. Confetë Insider: Easter Trend Results Are In!